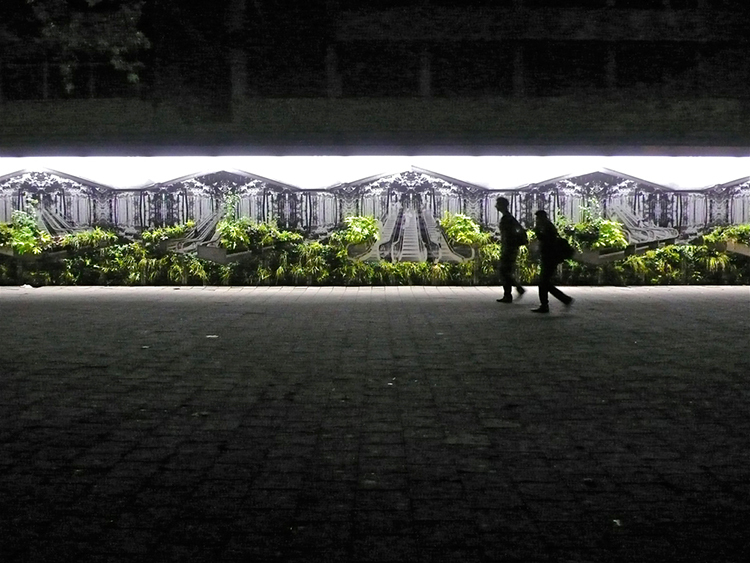 Shopjacket is a recent phenomenon. It is a solution for commercial spaces that have desolate windows caused by economic crisis and increased Internet shopping. 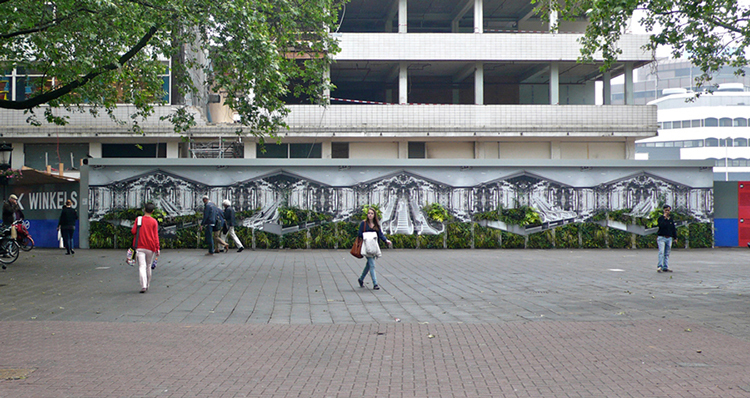 Prints are pasted behind empty windows – shopjackets – that create the illusion that the shop is still in use. 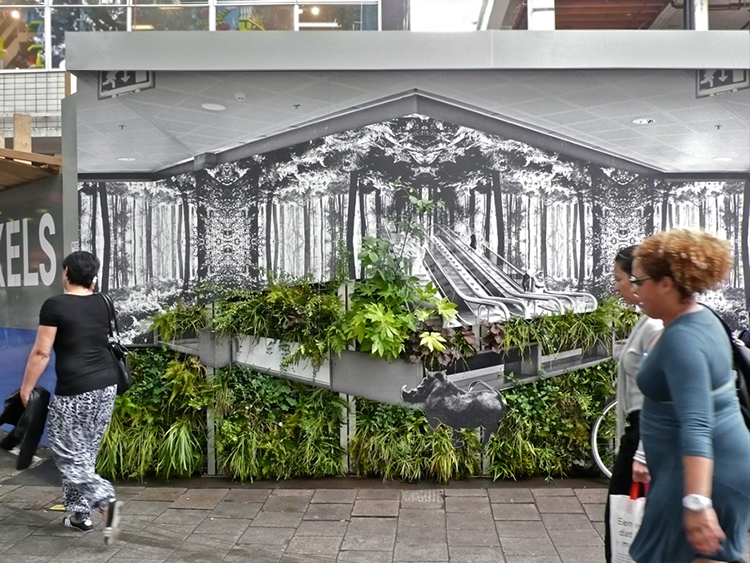 With this particular visual deception in mind I constructed a mural that depicted a moment somewhere in a fictional future wherein the shopping mall has slowly become taken over by nature. 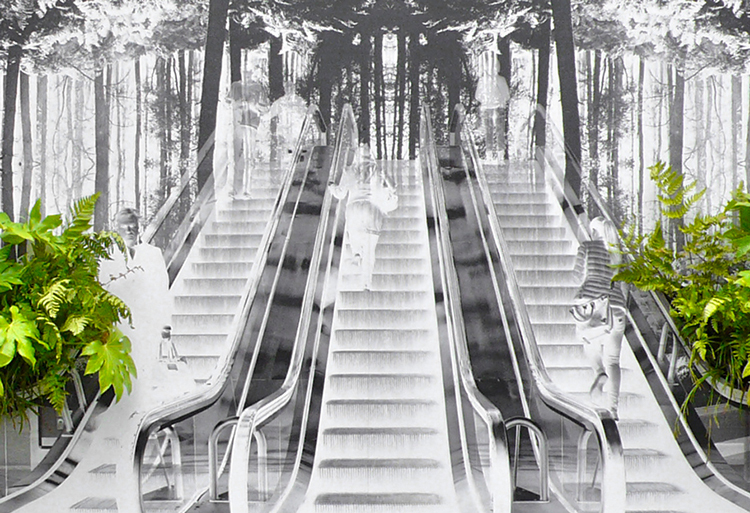 The combination of the black & white forest scene, distinct escalator views with formations of consumers at specific moments – along with the combination of organic plant life – all come together to accentuate the desire for consumption, as a stark contrast to the order of nature in modern society. 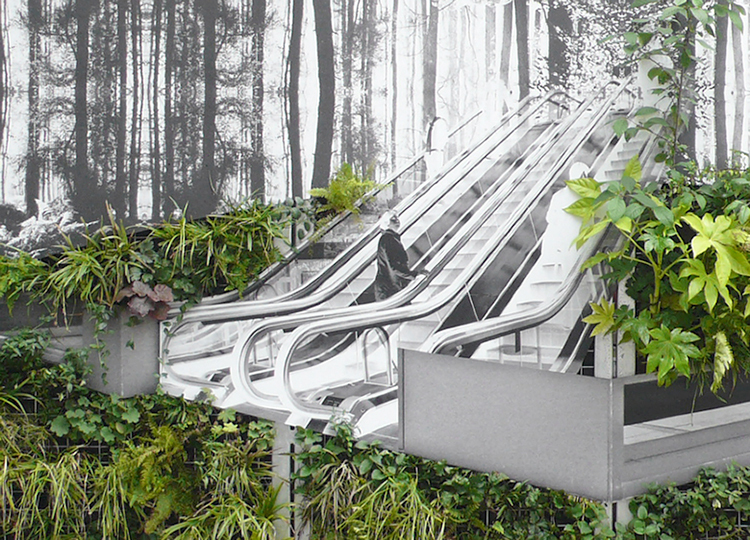 The work is inspired by Life After People (2010), a documentary that speculates on what would happen to the built world around us when humanity disappeared from the earth. 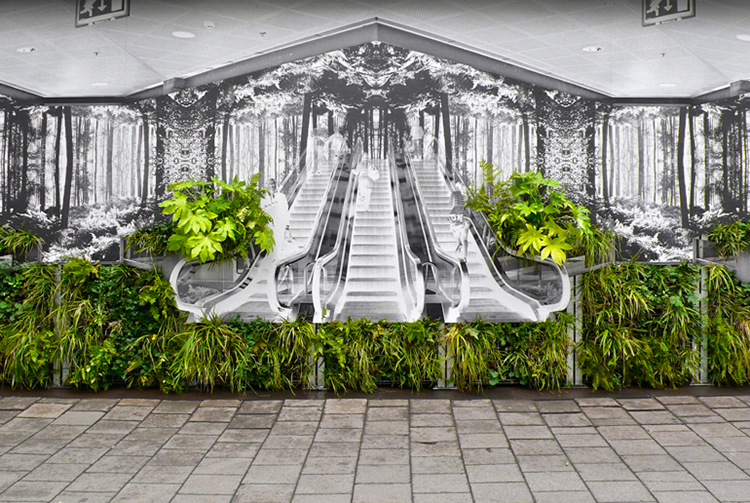 The work was part of the art manifestation Call of the Mall (2013), which took place at Hoog Catharijne, a late-Modernist shopping mall project part Utrecht’s main central station.